Frida Larios, The Village that was Buried by an Erupting Volcano. 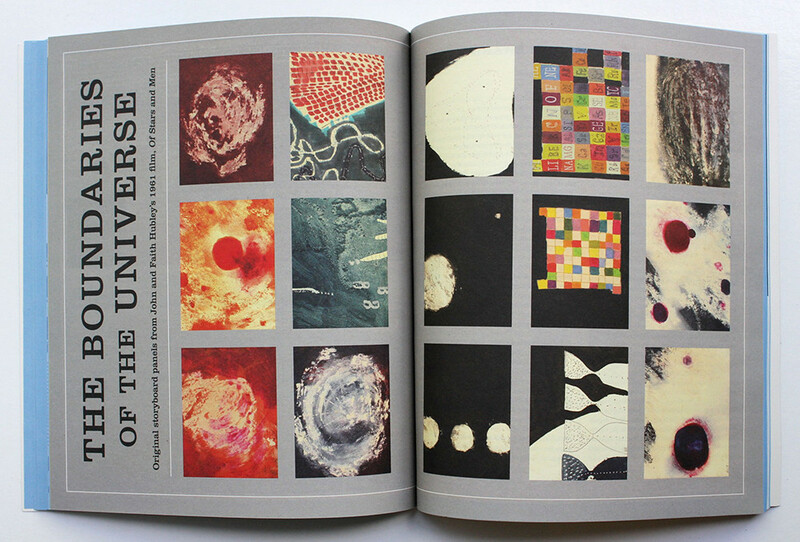 Top: spread from The Believer featuring original storyboard panels from John and Faith Hubley’s 1961 film, Of Stars and Men. 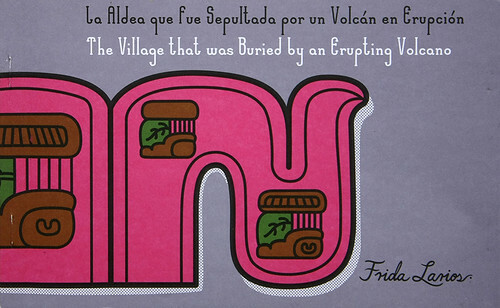 Designer Frida Larios has published a trilingual children’s book in English, Spanish and ‘Maya pictoglyphs’ called The Village that was Buried by an Erupting Volcano. Larios’s ‘New Maya Language typo/graphics’ project began when she and her son moved to the mountainous town of Copán Ruinas in Honduras, near the Guatemalan border and ancient Mayan ruins. Spread from Frida Larios’s trilingual children’s book. The Village that was Buried by an Erupting Volcano [La Aldea que fue Sepultada por un Volcán en Erupción] is about a 1400-year-old archeological site in Joya de Cerén, El Salvador, which is buried under volcanic ash. 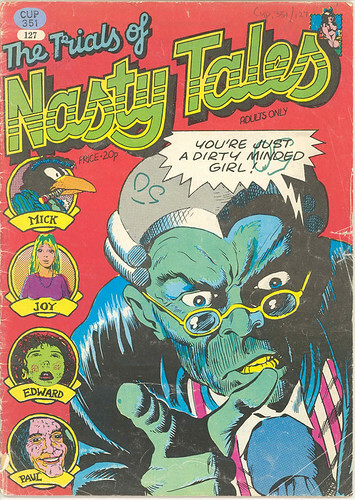 The Trials of Nasty Tales, 1973. Cover art by Dave Gibbons. Adrian Edwards, John Harris Dunning and Paul Gravett introduce ‘Comics Unmasked’. The exhibition ‘Comics Unmasked’ opened recently at the British Library in London. Curated by Adrian Edwards, John Harris Dunning and Paul Gravett, this thoroughly grown-up view of comics ‘explores the full anarchic range of the medium’, with work by Neil Gaiman, Jamie Hewlett, Alan Moore, Grant Morrison, Posy Simmonds and many more highly original creators. 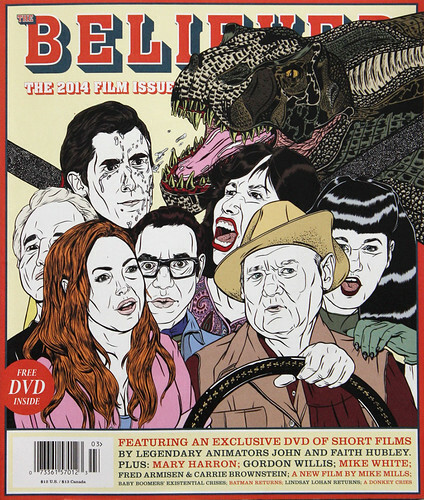 Cover of The Believer, March / April 2014, illustrated by Kelsey Drake. Clockwise from top left: Christian Bale, Carrie Brownstein, Bettie Page, Bill Murray, Fred Armisen, Lindsay Lohan and Steve Martin visiting Jurassic Park. The March / April film issue of The Believer magazine includes a DVD of short films made by John and Faith Hubley. Oscar-winning animated short Moonbird, 1959, is one of many animations featured on the disc which also includes the ‘mini-mockumentary Date with Dizzy (1958) featuring jazz musician Dizzy Gillespie, some short, somewhat bizarre examples of client work, The Hole (1962) and Cockaboody (1973). Moonbird is an animation that uses the voices of the couple’s two sons Mark and Ray ‘Hampy’ Hubley who go on an adventure to catch a mythical bird in the middle of the night. There are John and Faith Hubley Centennial screenings at Northwest Film Forum Cinemas in Seattle, US, 17-18 May 2014. John and Faith Hubley, Moonbird, 1959. 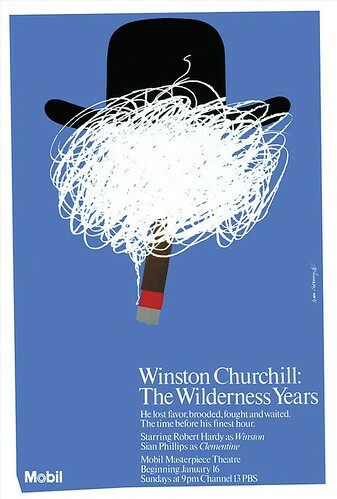 Poster to publicise Winston Churchill: The Wilderness Years, a television series sponsored by Mobil Oil Corporation, 1981. Photo: Chermayeff & Geismar & Haviv. Copyright:Photo: Chermayeff & Geismar & Haviv. 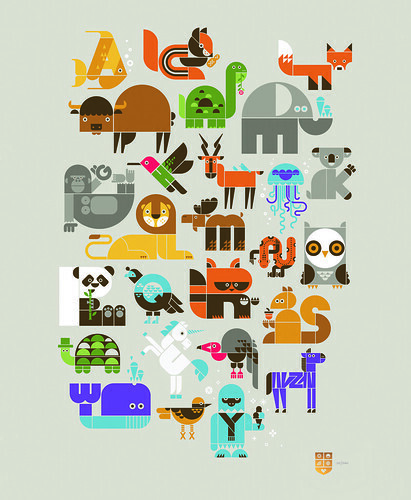 Wee Alphas, a limited-edition screen-printed poster featuring 26 animal characters with a different letter hidden within each creature. Design: Office, San Francisco, US. Creative Direction: Rob Alexander, Jill Robertson and Jason Schulte. Client: Wee Society.